Verdant - Professional Seasonal Lawn & Garden Care. Verdant Lawn Care - five seasonal treatments. for complete year round care for your lawn. Includes four fertilizer treatments. Three Moss treatments. Verdant are experts, qualified at professional lawn care and weed control for both domestic and commercial properties. With 38 years of experience applying agricultural fertilizers, weed and pest controls. We are NPTC Certified to apply our treatments to your lawns and driveways. CRB checked and BASIS qualified to advise and discuss value for money lawn and paddock treatments, our applications will improve the health and appearance of even the most neglected of lawns and other hard surface areas. Verdant can provide bespoke, regular seasonal and one off lawn treatments, improving the health and appearance of any size lawn, driveway or paddock between Marlborough and Winchester the villages around. Verdant apply lasting and effective balanced and slow release non scorch fertilizers and safe products to control weeds and moss. Achieving greener, healthier and 'Verdant' lawns within a few days of application. Our five planned seasonal treatments will keep your lawn amazing all year long. Verdant have the relevant professional agrochemical knowledge to use the commercially available systemic herbicides and modern controlled release fertilizers, we are experienced in removing the conditions that encourage moss. We have the appropriate equipment, skilled operatives and techniques to scarify and aerate your lawn, producing long term and very cost effective results. Prices start from as little as £16 per fertilizer application for a lawn 40m2 . Our service is very personal to you and your lawn, not dictated and unchangeable from Head Office ! user friendly applications, COMPLETELY safe for children and animals and costs much less than doing it yourself. There are no contracts just pay as you go. We contact you and arrange mutual access when further seasonal treatments would be beneficial, you do not need to be at home as long as we have access to your lawns. All we expect from you is to mow and water your lawns when required. Call & arrange your - FREE lawn analysis. A little gentleman in black velvet. 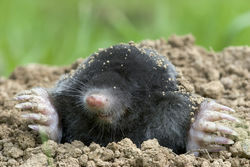 Moles - are attracted by worms and dislike vibrations - Starting and leaving your mower running for about half an hour each day for 2/3 days on the lawn area where Mr Mole is active may persuade him to move somewhere a little more peaceful ! Or we can apply a treatment to encourage the worms to move away orwork and live deeper than Mole likes to go shopping. Mr Mole will go hungry and look for supper elsewhere. Catching and killing Moles does not remove the food source worms which is why he moved into yours in the first place ! Weeds are 70% water, usually take between 15/20 day to die after treatment. Larger weeds leave a dead carcass, small weeds just dry out and decompose. Weed killers - herbicides work quicker in wet warm weather. We can spray in damp weather by using a 'sticker' an additive that makes the herbicide rain fast. There is no such thing as a weed free lawn. Two applications of herbicide in spring and summer should give you a 90% weed free lawn. Herbicides can only control weeds and clover presently growing at the time of spraying. 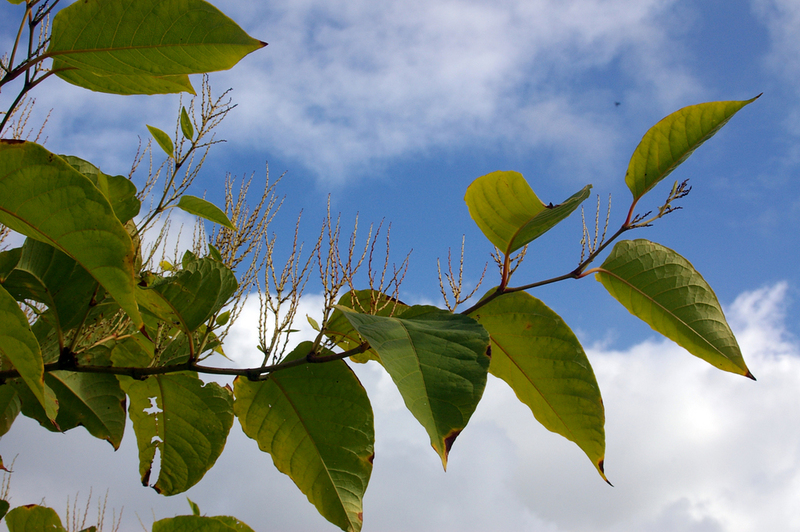 Weed seeds, in the ground and wind blown seeds can and will start to germinate even after an application of herbicide. Lawn diseases and Moss. Brown patches can be caused by your grass developing a turf disease, acquiring a fungal infection, cutting your grass too short, cutting grass in dry weather or during a period of hot sunny weather, family pet urine patches. 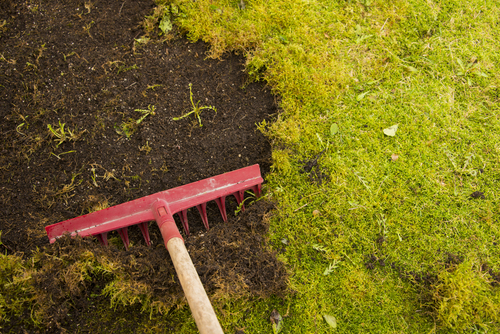 Most brown patches can be repaired by spiking the soil and watering well. If not a fungicide may be required. Verdant's autumn and winter moss treatments will turn the moss brown/black as it dies, dead moss does not decompose and prevents the growth of the new grass it MUST be raked or scarified to remove and taken off the lawn. Bare areas as above will need to be sown with a suitable grass seed. We recommend you plan having your lawn scarified when there is plenty of warm, wet weather forecast.